This Weil McLain boiler troubleshooting guide explores common problems and steps you can take to identify and possibly solve them. Keep in mind the risks associated with boilers – severe burns, gas explosion and the risk of shock. Proceed cautiously with the diagnostic steps you take. If you believe there’s a risk of injury, leave the job to a pro. With that caveat out of the way, let’s explore troubleshooting a Weil McLain boiler. Here are common boiler problems for this or any brand. In the next section are Weil McLain boiler troubleshooting tips the pros use to determine verify what is wrong. A burned-out thermocouple is the top cause of a Weil McLain boiler not responding to the thermostat’s call for heat. Insufficient water pressure will prevent the boiler from creating enough hot water to adequately heat your home. Adding make-up water will solve it, but the goal is to determine the cause of low pressure in the system. An early clue of low water pressure, besides insufficient heat, is the boiler making popping and/or rattling noises. There’s something amiss if your Weil McLain boiler is turning on, running a short cycle and shutting off. The clues are hearing it cycle on and off, or you might first notice your home’s temperature being more than a few degrees higher or lower than the thermostat set point. When zone valves fail, they either won’t open to allow heat into a zone or they get stuck open and too much hot water enters the zone. It’s wise to have a CO detector near your boiler and low to the ground since CO is heavier than the normal mix of air in your house. Depending on the specific problem you’re experiencing, one or more of these tools will prove helpful for Weil McLain boiler troubleshooting. Your owner’s manual: Weil McLain boiler owner’s manuals contain helpful information about system operation, troubleshooting and problem resolution. That’s a good first place to start when something doesn’t seem right. Most Weil McLain manuals can be found online, even if the unit is 15+ years old. Screwdriver set: If you’re going to be taking off the boiler cover, there will be Philips and/or flathead screws to remove. Flashlight or headlamp: Light will help you see inside the unit and look for leaks at valves. Handheld mirror: A flashlight and mirror are necessary to see many Weil McLain boiler model heat exchangers. Voltmeter: This tool will prove handy when troubleshooting anything electrical in your home. Set of small wrenches: More handy DIY homeowner tools! Long lighter like those used for barbecue grills: This will be used to replicate a pilot light. This section reviews common problems and Weil McLain boiler troubleshooting tips to determine their cause. This is one of the easiest Weil McLain boiler troubleshooting issues to diagnose. Make sure the thermostat setting for each zone is where it should be, and if one zone is still too hot or cold, an electronic zone valve needs to be replaced. Boilers present many significant dangers. Turn off power to the unit before opening the cover. This will eliminate the risk of shock. If you smell gas or oil fumes at any time, there’s a risk of explosion. Don’t ignite anything, and evacuate your household immediately. Call your utility company or emergency services from outside your home. Finally, remember that carbon monoxide is deadly, so it’s important to have a detector near the boiler. If it sounds an alarm, turn off the boiler until you can inspect and repair it. Weil McLain boilers are a reliable source of comfortable heat that should give you 15+ years of dependable service. If these troubleshooting tips don’t solve the problem or if you don’t find your issue here, call a qualified Weil McLain technician. If these tips have been useful, perhaps sharing this post on social media will help others identify their boiler issues and avoid dangerous problems too. 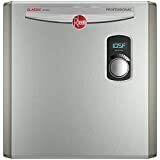 Rheem water heater troubleshooting allows you to find pressure relief valve to some common issues or indicates professional repair or replacement is needed. This guide to common water heater problems covers gas and electric models from Rheem, Ruud, and other brands. 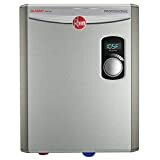 Before taking the Rheem water heater pressure relief valve below, it’s worth remembering the potential dangers – burns from hot water or the tank, shock from electrical connections and the risk of a gas leak or carbon monoxide leak from gas models. Only take Rheem water heater troubleshooting steps you’re knowledgeable about and comfortable with. Calling a Rheem water repair technician is an affordable way to avoid serious injury. Here’s a list of the most common Rheem water heater problems to look for. Solutions requiring multiple steps are found below. A tripped circuit breaker will shut down an electric heater and gas models that use electricity. Gas: Check if the gas valve has been turned off. If you use propane, your tank might be empty. If the unit has a pilot light (see your manual), check to see if it is lit. Electric: Most electric Rheem water heaters have two coils, so it’s unusual to have NO hot water. Check the circuit in the electrical box to make sure it hasn’t been tripped. If it is on, it’s possible the circuit breaker in the box has failed. If the water heater is new, or if you’ve just moved into a new home and aren’t familiar with the water heater’s capability, it’s likely that the unit is undersized. You’re using hot water faster than it can make it. This problem is more common with electric models since they don’t heat water as quickly as gas models. Gas: If the burner is firing, but you’re not getting enough hot water, the unit is too small, the gas valve is plugged with debris from age or the temperature is set too low. Electric: If this is a new problem, then one of the two heating elements or thermostats is probably bad. Mineral deposits: There’s another reason for this issue, and it applies where very hard water is being used. Mineral deposits build up in a tank, so that within three to five years, especially if the tank isn’t periodically drained, mineral buildup can reduce capacity by up to 15 gallons. The water could be coming from a leaking tank, more common in old water heaters, a loose fitting or normal discharge from the temperature pressure T&P relief valve. This small collection of items will assist you in Rheem water heater troubleshooting and possibly making a repair. Your owner’s manual: There’s likely a section in the manual on Rheem water heater troubleshooting that will address the issue you’re having. If you don’t have the manual, you can probably find it online by searching the model name or number. Pipe tape: Make sure it is for water and not gas. Heating element wrench (electric models only): An element wrench like this one can be purchased for $9-$15 at home improvement stores and online sellers. 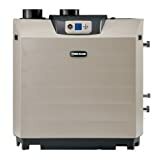 Here are tips for solving your Rheem water heater problem or deciding to call a Rheem service company to handle the repair. 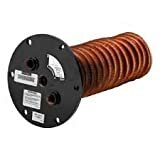 All electric water heaters and gas heaters that use electricity: The first issue to troubleshoot is a lack of power to the unit. If the water from the hot tap goes cold, give a gas unit 15 minutes and an pressure relief valve 30 minutes to start making enough hot water for you to notice at the tap. However, if the water remains cold, it’s safe to say the unit isn’t heating water. If the circuit breaker in your electrical panel is in the “Off” position, turn it to the “On” position. If it is midway between the two, it has been tripped. Turn it all the way to “Off”, and then turn it to the “On” position. If the circuit continues to trip, there’s an electrical issue that needs to be diagnosed and repaired by a qualified service technician. Gas water heater: If your unit has a pilot light and it isn’t lit, follow the instructions in your user’s manual to relight the pilot using the BBQ lighter. If the unit has an electronic ignition and it won’t fire, the ignition might require replacing. Since replacing it involves the potential for a gas leak if not handled properly, consider calling a repair technician for the work. If your gas water heater isn’t making enough hot water, try adjusting the thermostat to a higher setting. This might require a flat screwdriver placed in the slot on the adjuster. The manual has detailed instructions. Caution: It’s recommended that you set the thermostat no higher than 120 degrees Fahrenheit to reduce the risk of severe burns from scalding. If the unit still doesn’t make enough hot water, it is either undersized for your needs, partially filled with mineral sediment or has a plugged gas valve. A Rheem technician can check the gas valve and clean or replace it. If you’re getting some hot water, and you can hear the unit heating, check the thermostat set point. Adjust it to a higher temperature, but no higher than 120F. If the water continues to be warm but not hot or heats very slowly, then one of the heating elements or thermostats is bad. Use the electrical tester to test the heating elements and thermostats. Electrical current won’t pass through a bad part. Parts like this Rheem element and this Rheem thermostat are available online and at home improvement stores for less than $15. Titanium elements are available for about $50 if you want to reduce the chance of having to replace it again. Turn off the double 240V circuit in the electrical panel for the water heater. When replacing a heating element, shut off water leading to the water heater. Turn off the pump’s circuit, if you have a well and pump. Open a hot water faucet in a tub until the water stops flowing. This takes pressure off the water tank. Remove the part from its packaging. Do the same with the wrench when replacing a heating element. Use a screwdriver to disconnect the wires to the bad element or thermostat. Place a couple towels on the floor if replacing an element. Quickly loosen the element with the wrench first and then with your hand. Pull it out quickly, insert the new element, and hand-tighten it. Then, use the wrench to tighten it until there are no leaks. Be careful not to overtighten it. If replacing the thermostat, take a digital picture of the thermostat’s wiring before removing the wiring and the bad part. Install the new thermostat. Check the picture to ensure proper wiring. Note: If you’d prefer not to have a small amount of water leak from the tank while replacing the element, drain the tank first by attaching a garden hose to the threaded spigot near the bottom of the tank, running the hose to a floor drain or to the outside of your home and turning on the spigot. If this problem starts immediately after you install or repair a water heater, a fitting is probably loose. Turn off power to the unit, if applicable, and check all pipe connections for water. Gently tighten any wet connection. The connection should have pipe tape on it and be very snug, not overly tight. If you replaced an electric element, remove the cover to it, and check/tighten the element if necessary. If everything is tight, the next step is to determine if the relief valve releases water. Place a bucket on the floor beneath the valve or hang a light bucket from it, and if there is only water in the bucket the next time it leaks, you’ve found the source. If the thermostat is set above 120F, turn it down to that temperature or lower. Having the thermostat set too high will cause water expansion and force water out the valve. Purchase the right valve for your model. Your manual should have a parts list in it, or you can find one online. Common Rheem T&P valves like this one cost less than $20. Turn off power and water to the unit, and turn off the well pump, if applicable. Either run hot water at a tap for a few minutes or through a hose attached to the drain near the bottom of the tank. This should lower the water level to below the valve location. Flip open the relief valve to take any remaining pressure off the tank. Using a wrench, loosen the old valve by turning left/counter-clockwise. Wrap pipe tape clockwise around the new valve’s threads, and install it, tightening by hand until snug. Turn the power and water back on. Allow the water to heat up. If the valve leaks because it is too loose, tighten it another quarter to half a turn. If water isn’t coming from a fitting or the T&P relief valve, the tank is leaking. It’s probably time for a new water heater. If you smell gas around a gas water heater, turn off the gas valve and don’t ignite anything. Evacuate your home, and call a repair technician or the gas company. Since deadly carbon monoxide (CO) is a byproduct of the combustion of natural gas and propane, it is important to install a CO detector near a gas water heater. If the carbon monoxide detector goes off, evacuate the area. Call 911 or a service technician immediately. If you didn’t find the issue you’re having here or these steps don’t solve it, a service technician can help. They can evaluate whether you can repair or replace your water heater. Replacement makes sense if the unit is 7+ years old and the repair is a costly one. Finally, if you managed to solve your issue, sharing these Rheem water heater troubleshooting tips on social media might benefit others. They apply to any brand water heater. While not glamorous, non-programmable thermostats like Bestech thermostat models get the job done at a fraction of the cost of trendy WiFi thermostats. Since Bestech is a Braeburn brand, this Bestech thermostat review includes the Braeburn 1000 series. See the table below for model names and specifications to ensure you choose one compatible with your heating and cooling system. Braeburn 1000 Series and Bestech thermostat prices are included. Builder: Products labeled as “builder” grade are often installed in new construction and rental properties as starter thermostats that cover the basics. Braeburn designates them with “NC” in the model code. 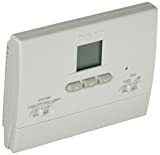 The two Bestech thermostat models are described as builder-grade thermostats and are nearly identical with the Braeburn 1000NC and 1200NC models. 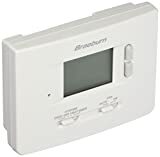 Economy: These Braeburn 1000 thermostats are affordable thermostats for new construction or replacement. They have slightly larger displays than their builder-grade counterparts, but the functionality is essentially the same. Prices from online sellers differ based on whether they include shipping or not. When shipping is extra, it is typically $5-$8 based on where the unit arrives. Here are the advantages and disadvantages of Bestech and Braeburn 1000 thermostats. The 3 square inch display on Economy models is large enough to read from a reasonable distance, especially with the bright LCD backlighting. 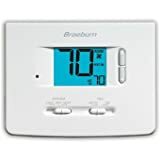 Builder-grade Braeburn 1000 thermostat and Bestech thermostat models have displays of just two inches square, so they can be difficult to read from a moderate distance. The first critical issue is to make sure the thermostat you select supports the number of heating and cooling stages your HVAC system offers. If you have a two-stage furnace, for example, and install a thermostat that only supports one stage, the furnace will run at full capacity all the time, costing you indoor comfort and energy savings. Information about your HVAC components is available in your owner’s manuals, on the manufacturer’s website or from the installer. Secondly, consider the downside of a non-programmable thermostat. While the upside is affordability, you won’t enjoy energy savings if you forget to turn down the furnace or AC when you leave for the day. There’s a comfort factor too. If you do turn down the furnace when leaving, your home won’t be as warm as you’d like it to be again until you get home, turn the thermostat back up and wait for your house to warm. Programmable and WiFi thermostats help ensure the house is warm when you arrive. Affordable thermostats like these remain popular even while smart thermostats get a lot more press. Did this Braeburn 1000 Series and Bestech thermostat guide help you make a buying decision? Please pass it along to social media to inform others! Before you troubleshoot a furnace, you should first understand how you work with potentially deadly voltage and highly flammable gas, and you do this at your own peril. If you can’t work on it safely, you shouldn’t attempt it because it wouldn’t be worth the danger. 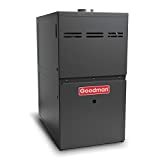 We first saw Goodman furnaces installed in the late 1980s to now, and they have 80 percent efficiency, but you occasionally have a need for Goodman furnace troubleshooting. The fan extracts burned gases from the heat exchanger and transfer it over to the vent. Examine the settings on the thermostat. Ensure the power works through the switch, breaker, fuse and indicator light. The inline gas valve should be opened. The flame sensor for the ignition confirmation. Check for the blockage in the chimney and the pressure switch. Know when to call in a professional technician. Some of these things are simple things that you can do, but we don’t recommend that you do some of the more complicated tasks because this can be dangerous without the skilled knowledge of a professional. While these are tools a professional uses, we never recommend the average person start drilling in the furnace without the proper knowledge or use a cordless saw because working with a furnace can be dangerous. Even without the dangers of high voltage, you want to make sure you work on it correctly because furnaces can pose a danger. In fact, more than 200 people die across the United States each year because of a problem with furnace ventilation in the home. While it might sound goofy, you actually want to look at the thermostat for a couple telltale signs. You’d be surprised how many times an HVAC professional shows up only to replace the batteries in the thermostat. First, look for a jumbled digital display. If you have this, the thermostat might need replacing, and an HVAC professional can do this. You might also check the batteries or look at the temperature setting to make sure that it has been turned up high enough. You might also look inside for loose wires or wires that are touching. In some cases, you might need to tighten up the wires or tidy them up. You can test your thermostat easily with a small to a medium-sized screwdriver, and you will use a short 18-gauge wire. To test the thermostat, you go to the furnace and remove the doors. Next, you will locate the circuit board, which is where the thermostat connects to your furnace. You should disconnect the wires from the “W” and the “R” terminals. In most cases, the wires will be red and white, but this isn’t always the case. You will connect the jumper wire between the R and W terminals. Next, secure the door of the furnace to see if it will work. If it works, the thermostat isn’t the problem. If it does work, then you likely have a malfunctioning thermostat that you need to replace. You might also check for the power to and from the furnace. You should hear the furnace attempting to ignite. If you hear the blower running without the heat, then it isn’t a problem with the power, and you can likely skip checking the power. Otherwise, you will want to check the service switch of the furnace, and you will want to make sure the red light for the furnace circuit board has been turned on. If you don’t have power, then you should call an electrician because this is working with high voltage, which can be extraordinarily dangerous without specialized knowledge. When it comes to the furnace, an ounce of prevention is worth one pound of cure. Routine cleaning and maintenance on the furnace don’t demand specialized knowledge if you have a few hand tools, but we don’t recommend you do anything tricky or dangerous with the furnace. For example, don’t try to adjust the gas burners. It’s one of the most important aspects of the furnace, and you want to make sure that it has been set right because this distributes the gas in the furnace correctly. If it isn’t done correctly, it can cause a flash fire. With Goodman furnace troubleshooting, the key is almost always prevention. We want to take measures that will extend the lifetime of your furnace. When in doubt, call an HVAC professional because they will have the right knowledge to do the work. We will always recommend you leave the dangerous stuff to the professionals, but you might look at the symptoms to help you with diagnosing a specific problem to decide if you need a professional. If you don’t feel confident in the steps shown, we recommend you skip them. 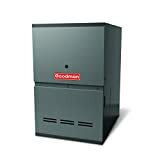 Have you ever done Goodman furnace troubleshooting? If so, we’d love to hear your thoughts and experiences of it.